MeProfits Scam Review - Why You Should Stay Away From It? MeProfits Scam Review – Why You Should Stay Away From It? 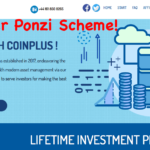 Some days back, another Ponzi scheme hit the online world with false claims of mining Bitcoin, offering Crypto trading consultation, trading in different stocks, managing of debt and crisis investment and real estate management, etc. If you have heard anything about MeProfits, I want to advise you to stay away from them. Everything you hear, read and see on their website are lies concocted to deceive and defraud which I am going to expose in this MeProfits review. In fact, the scam is so organized that if you are not careful, you may think that they are legit or fully functional. However, I took my time to investigate and discovered terrible lies about this new addition and in this MeProfits review, I will share some of my terrifying discoveries about the platform. They said some nonsenses about initial coin offering, but the truth is that they haven’t paid anyone yet and people are already crying for falling to their scheme. If you make the mistake of paying and waiting for them to mine any cryptocurrency for you, be ready to wait forever because everything is a complete lie. If you are a trader online or you are someone who wants to make it legally and gradually, you don’t have any business with MeProfits. There are many of them out there ready to tell you every kind of rubbish to steal from you. If you must survive in online crypto trading or investments of any sort, you must be wiser, more vigilant and more analytical. For instance, if you visit the MeProfits scam website for the first time, you will think that these people are the real deal and also mean business, but you see, they have nothing to offer. Their “About us” that I read and their Business Strategy all sounded legit but since I have been in the business for so long now, I decided to dig deeper. It was so disappointing to discover that they are just a Ponzi scam. According to them, the company is a group of people who have gathered a lot of experience working for brokers and brokerage houses all over the world. Since they have discovered the secrets and pitfalls of investments, they decided to create the MeProfits platform where investors can make money online without worries. They sound legit and concerned for investors’ welfare till you make a deposit and watch them swallow your money like hungry lions. Like I said earlier on, there is no reality to what the dubious scammers behind this platform are promising. They are not mining any cryptocurrency and there is no trading going on there either. The only thing they are pursuing is how to convince many people to deposit lots of money for them to swallow in the name of Bitcoin mining. If you invest in them, you only have yourself to blame. Let’s examine the red flags I discovered while trying to prove the MeProfits platform. 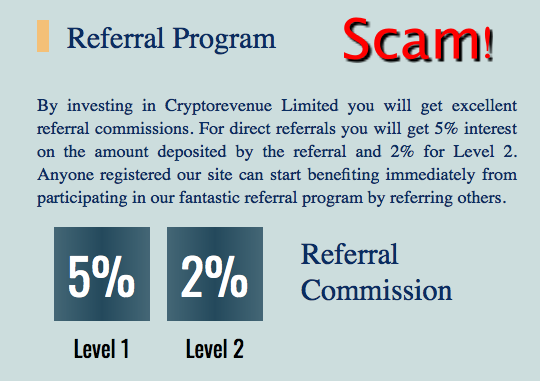 Do you know one annoying thing about the MeProfits scam, they didn’t provide any name or even the ownership details of the scam system. They didn’t even bother to provide their usual fake names and fake addresses. Yes, I know that we don’t usually trust their details but hey! At least I can write with a name even if it is fake. No, check this out, you want me to give you my money of which you will mine Bitcoin and others for me to make high returns on investment but I shouldn’t know who you are. Is that for real? I don’t even want to start with their ridiculous promises of ROI till I get to that point. If you can make me a millionaire in few months, why are you hiding behind the curtains? We are talking about money here for goodness sake, and someone wants you to give it to him without verifying his authenticity. It is only a fool, careless investors or novices online that will do that. Yes, the provided an email address but it is not enough at all. We need names, company names, management team and physical addresses that are verifiable and not secrets all over. At this point, scammers are desperate and showing it by getting stupid every day. If you are an investor dealing with online investment opportunities, you must not be a pushover if you want to succeed. Scams like MeProfits should be too little to deceive you. Mentioning a team of thieving losers in the name of cryptocurrency investors and experts is nonsense, and you shouldn’t even believe such lies. Do you want to know something really funny? When I heard about the returns they are promising investors, it scared me instead of impressing me as they planned. The first thing I thought was wow! These people are out to steal. Check out their investment plans: Fast profits will give you a 20% ROI for 8hours, and you can invest from $5-$2500. Medium profits will be 10% every hour for 24 hours if you invest between $200-50000. If you want to make Big Profits, then, you can invest from $350-75000, and after five days, you will make $350% profits on your investments. Big profit 11 is where you will make 950% profits after ten days if you invest a minimum $750-100000. Then comes the Premium packages where you will get two options to make huge returns. In the first plan, called Premium 1, you can make 2200% Profits when you invest $550-150000 and wait for 27days. On the Premium 11, you have the chance of making 5000% profits after three months/60 days after you invest $850-150000. Now, are you seeing why I got scared? If you can make an ROI of 5000% after 60days on let’s say you take the high risk and give them $150,000, within few years, you will have trillions and not billions. The most amazing part is that you will make all these profits without having to lift a finger for anything. This is a case of your money working for you! These claims are just too fake to be real. Isn’t it so obvious that they are dupers? Just stop for a moment and ask yourself, if this kind of investment opportunity exists in ICO, why are they everywhere over the Internet and offering their services easily and freely? I think by now, you understand why I can call them super-duper scammers. Before I go further in this MeProfits review, I want to discuss about their company documents which they have added in the footer of their scam site. 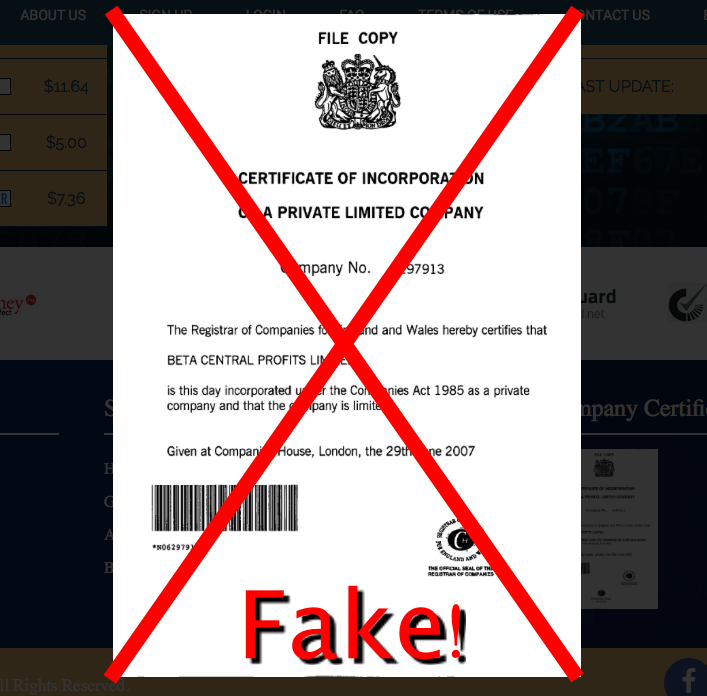 Unfortunately, when I tried to verify it, it was the registration of another company called Beta Central Profits and not MeProfits. In case you are wondering, these two companies are not related in any way. Can you imagine this level of deception and tricks when they want us to invest in them? If they went this far to lie and hide their identity, that means they are unregulated and operating illegally. If they are registered in the United Kingdom as they claim, don’t you know that everything will have been transparent and verifiable? You and I know that the UK is strict and straightforward when dealing with money and other things related to finance. Now given that MeProfits is all about investments and returns, there are strict regulations and necessary licenses they must acquire to operate freely and legally. Since it is clear that they don’t have it? Do you still want to do business with the thieves? Please keep your time and money useful somewhere else. Now, are you seeing the picture? The whole aim of this platform is a fraud by every means possible. The creators also designed a Ponzi scheme for those who may want to get rich very fast from every angle. According to their promises, when you introduce others into the plan, you will make referral bonuses of 5% and 2% in level 1 and level 2. Imagine making a 5% bonus from 10 investors who deposited $150000, how much richer will you be? That’s the aim of these thieves. They want to tempt you so hard that at the end of the day, you will succumb and give them your money. Please, don’t mind them before you bit more than you can chew. After depositing all these huge amounts, these thieves will steal them and run away. Some of the people who tried this rubbish scam revealed that when they make the huge ROI and try to withdraw, all they will see are error messages throughout and that’s it. If you doubt my findings, go ahead and invest, refer others and make huge profits then try to withdraw. If you succeed, notify me so I will join you and amass such wealth as MeProfits is offering for free. MeProfits Review Verdict – MeProfits is confirmed scam! Avoid it! My Recommendation – Go With Option Robot! 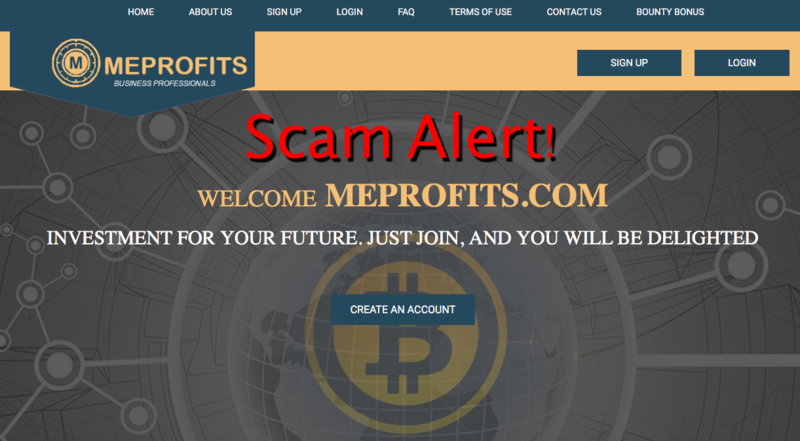 MeProfits is a dirty scam that will soon crash like other fake ICOs online. They are not mining any Bitcoin and doesn’t have any referral bonus to offer you. Yes! You can see the figures online but that’s all will get. See but not touch till infinity. Stay away from these thieves in the name of MeProfits. They have nothing to offer except stealing. 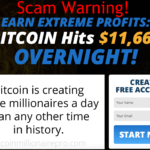 Bitcoin Millionaire Pro Review – Another Dangerous Scam Exposed! 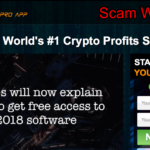 Bitcoin Pro Review – Another Crypto Scam? Yes! Find Out Why! 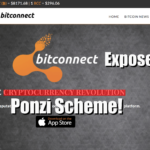 BitConnect Review – Another Ponzi Scheme? | BitConnect Scam Exposed! Easy Daily Profits Review – Another Scam System Busted! 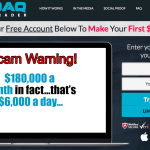 Nasdaq Inside Trader Review – Confirmed Scam Software! Hi Soft is crypto sniper legit or just another scam. Please suggest a platform that is legit and fully automated. Tnx in advance.